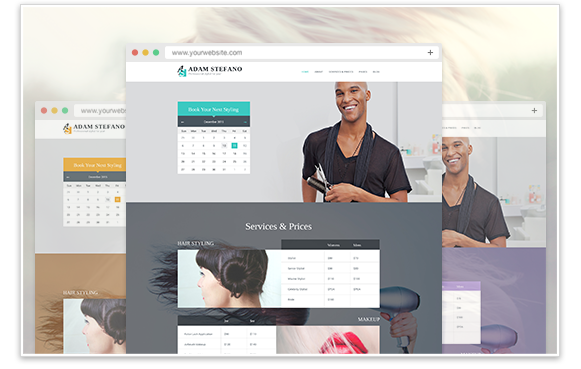 Entrepreneur is a Business WordPress theme with an appointment booking form. 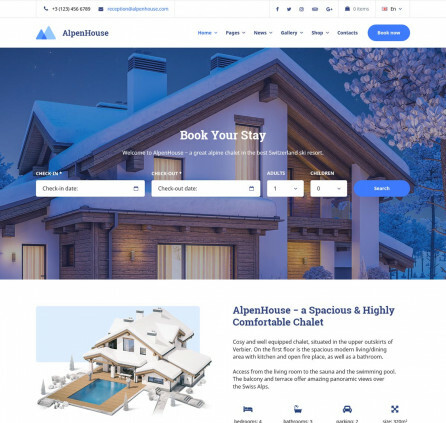 The theme is integrated with the WordPress Customizer, offers custom color options and a range of useful modules to feature your services. 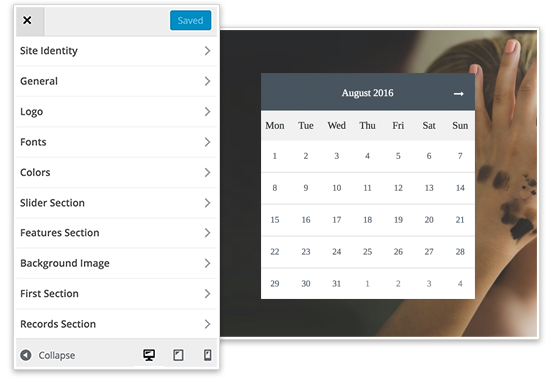 A premium Appointment Booking form plugin is included for free. A fantastic time-saver to manage your online bookings. Appointment Booking plugin is already included into the theme allowing your guests to book appointments with or without registration. 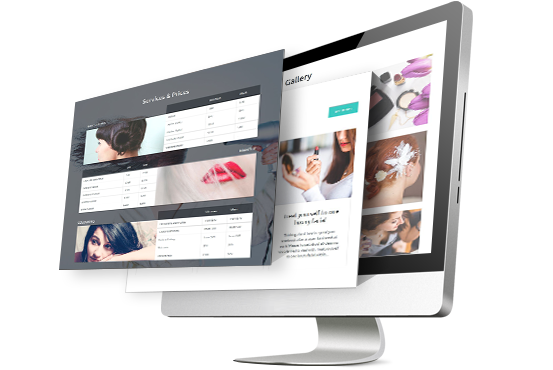 The plugin comes with color pickers to help you apply suitable website colors. It can be easily integrated with WooCommerce payments and read-only appointment calendar feeds. Backend plugin management is a real ease. You definitely have your vision about the sequence and amount of the front page content blocks. And it’s only up to you what sections to display or hide. We just made the process of their updates less hassle-free: shift or fully hide any default content block visually. You are able to set the needed order of the chosen sections via a handy WordPress Customizer. Front page is a top-priority one for both online audience and search engine robots. You have a freedom to make it highly professional and personalized thanks to a full arsenal of settings: visually customizable texts, imagery, calendars, links, colors, logo, widgets, and more. Each update you make via the WordPress Customizer is instantly available for preview. Right website color makes a huge difference in the entire perception of your online project. With Entrepreneur, you are free to paint your site any favourite, complementary or brand colors to properly show your authentic self. Everything from the header text and website text to accent colors can be updated with minimum efforts. Every content type you need to present your business is already available within pre-made demo content blocks. All you have to do is to update them with your own data. Display your projects in Portfolio section, present offerings in Services table, edit creative Testimonials block, and adjust Google map in footer to show your location. Readable and appealing typography is a key point for a satisfying user experience and visual design attractiveness. Be maximum creative and find an optimal way to present your content with a help of unlimited Google fonts. More tweaks with sizes and spacing and your outstanding content is ready. Editing your website on the frontend is no longer a magic. 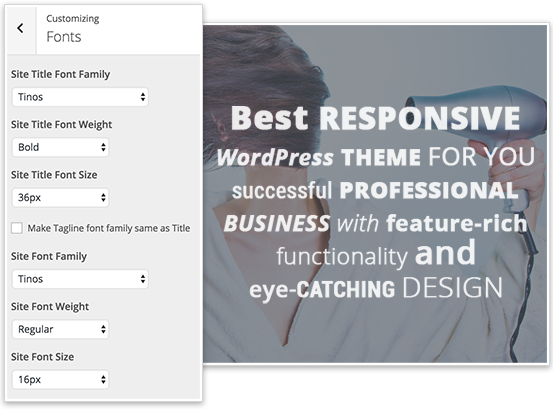 With a feature-rich drag-n-drop MotoPress WordPress Page Builder you can build and edit pages and posts using a range of all in-demand content elements. Create professional complex layouts, add any media file, charts, tables and more fully visually. 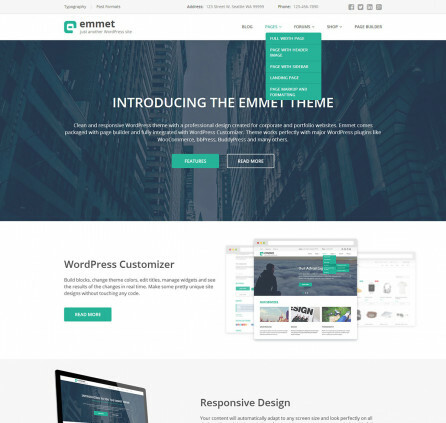 You can also add engaging WordPress Slider to the theme. Do all tweaks faster and easier than with default WordPress editor. Booked plugin is built into the theme. 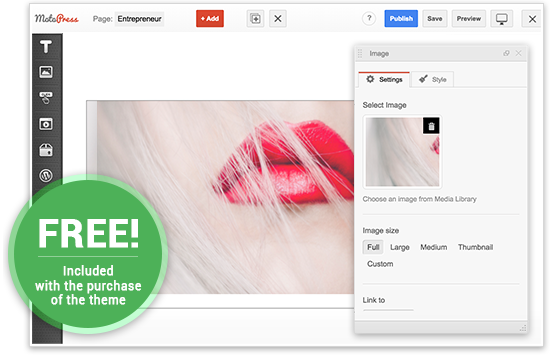 You need to purchase Premium version of the theme to get this plugin.